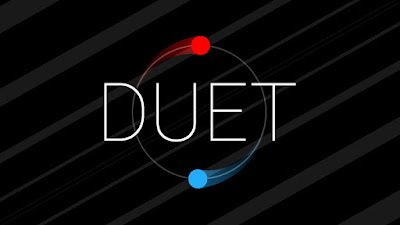 A couple of months ago I got introduced to a video game called "Duet" that you can download and play in a cellphone. The game consists of 2 balls that move separate but together at the same time, like a circle. It has 8 stages and every stage has different parts within it that you walk through while playing. 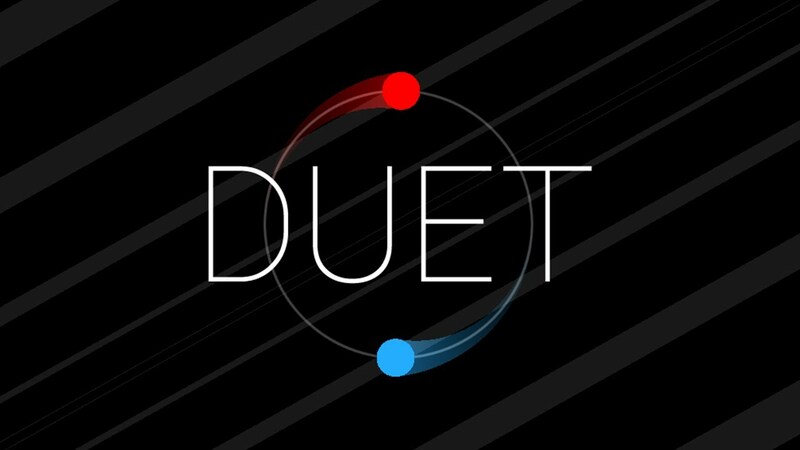 What I found interesting about this game is that there is a voice that is always talking to you since the first moment you start playing and it continues along the whole game until you finish. To me the stages represent a process - or at least how I have experienced this process - from Consciousness to Self-Awareness with Desteni. The first one, "Ignorance", when you blindly follow your mind as a slave without questioning your thoughts, feelings and emotions. Then you "Deny" what you are realizing, because you can't accept what's going on within yourself and you ask yourself "what have I believed myself to be all this time?". Then you get "Angry" and probably blame others as a reaction of victimization. Then, it comes the "Bargaining" stage where you start bargaining with yourself towards a solution. After that, you experience "Guilt" for what you have allowed and accepted to exist within and without yourself. "Depression" comes later, where you realize you are alone and that no one is going to come and save you. Then, as you realize you are still here breathing and existing, you remember there exist "Hope" to be willing to keep walking and finally "Accept" who you are and become the change you would like to see in this world. This will be full of unexpected twists and turns. This may not define you. Repeating the same actions but expecting new results is a sign of madness. Guilt can only truly come from within. Why are you doing this to yourself?. Sometimes letting go is the harder choice. But I want you to remember one thing…I'm Here. I forgive myself that I have accepted and allowed myself to ignorantly/blindly trust my thoughts, feelings and emotions, without realizing they are just pre-programmed systems and do not support Oneness and Equality as who I am as the physical. I forgive myself that I have accepted and allowed myself to deny to accept what I have created withIN and withOUT myself through my participation and entertainment within my mind consciousness system. I forgive myself that I have accepted and allowed myself to become angry towards my family when blaming them for the way I am, critizicing the way they raised me, instead of realizing that I am here and able to change myself as a process of self-responsibility and self-honesty without blaming others from a starting point based on anger/frustration. I forgive myself that I have accepted and allowed myself to sabotage myself when bargaining with myself in order to apply solutions, because I have not applied/lived Self-Honesty to the fullest. I forgive myself that I have accepted and allowed myself to feel guilty when I see myself participating in the same patterns throughout this time without giving myself direction in order to deconstruct myself and become the real "who I am" as all, as one, as equal. I forgive myself that I have accepted and allowed myself to believe that I am walking a stage of "depression", because I am currently unemployed and soon I won't have more money, without seeing, realizing and understanding that I am not a job, I am not money...I am life as every breath and what matters is who I decide to be in every moment, in self-honesty, breath by breath. I forgive myself that I have accepted and allowed myself to think and believe that the word "Hope" is ridiculous, because I have linked it with the word "Faith", without seeing, realizing and understanding that I don't have to accept the words/concepts as they came by default, because I can re-define words/concepts and decide how I am going to live each word as The Living Word. I forgive myself that I have accepted and allowed myself to not accept myself as who I am as the physical and instead, I have participated in my mind as thoughts, feelings and emotions when I already know that I am not those programs/systems that have got me and humanity enslaved collectively to the same patterns that perpetuate the system as it exists now. that which is best for me and best for all, without participating in anger, guilt or "depression". I commit myself to take self-responsibility for what I have created in this world in order to deconstruct myself and give birth to my life as the physical where all living expressions are considered/valued/honored as Equal. When and as I see myself becoming angry and blaming my family for the way they raised me, I stop and breathe. I see, realize and understand that the action of blaming means that I am activating the "victim character" who does not want to take self-responsibility for myself. I commit myself to stop blaming others for what I have become/created, so as to stand up, take self-responsibility, become a living example and to prove I can change instead of just blaming people/the system. When and as I see myself thinking that I am walking a stage of depression, I stop and breathe. I see, realize and understand that Depression won't exist if I don't trust that word/concept. I commit myself to stop beLIEving in depression and start trusting myself, because if I am able to see and understand my relationship to the word Depression, then I am able to act and change through and as self-responsibility and self-honesty. When and as I see myself attaching a negative/ridiculous charge to the word "Hope", I stop and breathe. I realize that as I have made a connection between the word "Hope" and "Faith", I can deconstruct it and re-define it. I commit myself to re-define and live the word "Hope" as a constant willingness/self-will to change as I breathe here instead of remaining stuck within my mind system without doing anything and just expecting someone else to come and save me. When and as I see myself rejecting/not accepting who I am, I stop and breathe. I see, realize and understand that I have to embrace myself and make a desicion to change myself and then live those words within my participation in a constant self-will to take self-responsibilty in self-honesty, breath by breath. I commit myself to accept myself with all my virtues and weaknesses, because in accepting them, I can release what is limiting myself and then become the change I want to see in this world.